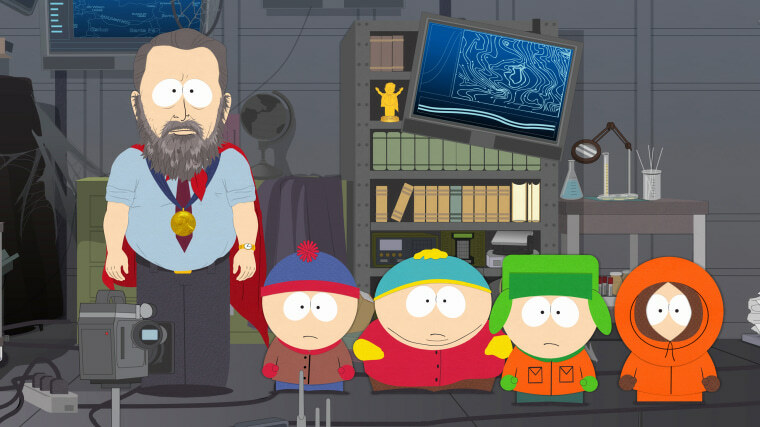 Show creators Matt Stone and Trey Parker made amends for a dis that is more than a decade old. The creators of the show “South Park” have issued a rare apology, reprising the character ManBearPig to make amends for a dis that is more than a decade old. In a 2006 episode during season 10 of the animated series, Al Gore issues a stern warning to the students of South Park Elementary School about the “single biggest threat to our planet.” He was talking about ManBearPig, a creature meant to represent climate change. At the time the episode aired, Gore was a month away from releasing the documentary “An Inconvenient Truth.” The problem is that, per "South Park," ManBearPig was fictional, which suggests the threat was imagined by Gore. Now, 12 years later, show creators Matt Stone and Trey Parker have orchestrated a mea culpa. In this week’s episode, "Time to Get Cereal," the children discover Gore was right all along when the character Stan sees an attack. They seek Gore's help, which he provides, but not before they apologize for not taking him seriously years ago.